Unlike some other conditions that we prevent or treat, heartworm disease has recommended standards to which we should adhere. As a teenager and want-to-be veterinarian working in a metro New York practice, I watched as hundreds of Difil (microfilaria) tests were performed on dogs and thousands of Caricide (diethylcarbamazine) chewables were dispensed. I don’t remember if 100 percent compliance was achieved with testing or preventives. Fast forward 10 years and I was doing an externship in Santa Cruz, California, during my senior year at the University of Illinois College of Veterinary Medicine. My memories of the past heartworm testing and prescribing had faded, but in Santa Cruz I was surprised to learn that heartworm disease was a significant concern. The practice diagnosed over 100 positive cases a year. One day, a 3-year-old male neutered Newfoundland was carried in, still warm but very dead. There was no obvious cause of death. The doctor in charge suggested to the owner that we do a postmortem. Blood samples were collected, and the big boy was brought to an area where a necropsy could be performed. Long story short, we opened his thorax to look at the heart and lungs. The lungs were grossly abnormal. The heart had abnormalities in size and shape. Upon opening the heart, hundreds of live heartworms were seen wiggling around in the right ventricle, right atrium and pulmonary arteries. I didn’t know about Caval syndrome then, but the name sure gave me something to read about that night. If you want to give somebody a lesson about a single condition — and make it last a lifetime — that experience did it. I was a believer in the significance of preventing heartworm disease from that point forward. After graduation and moving to Southern California, I had to rethink everything I knew about heartworm disease, because the incidence of indigenous heartworm disease at that point was very low. In my first few jobs, the heartworm discussion was not part of the routine except with clients traveling with their pets. By now, Heartgard and Interceptor had entered the picture and heartworm prevention was a whole new world. With the image of the Newfoundland’s heart indelibly etched into my brain, I, as a practice owner, became an advocate for heartworm prevention even in an area that didn’t have a significant problem. In fact, I diagnosed only one case of heartworm disease while I was in practice, and we did a great deal of in-house testing and included a heartworm test with every full profile we sent out. The one case I saw was a cat from Atlanta! We didn’t have a problem dispensing preventives because we had built a level of trust with clients. We also had a mobile clientele that frequently took their pets with them. And, thanks to Novartis back then, we had a heartworm-positive heart filled with worms in a formalin jar just waiting to spring on unsuspecting clients. Pretty gross. Very effective. Heartworm disease is a completely and easily preventable condition. It has a high prevalence in many areas and is enlarging its footprint annually. It is a condition we know how to test for, prevent, diagnose and treat. We should be at the forefront of this disease, but compliance is still an issue. 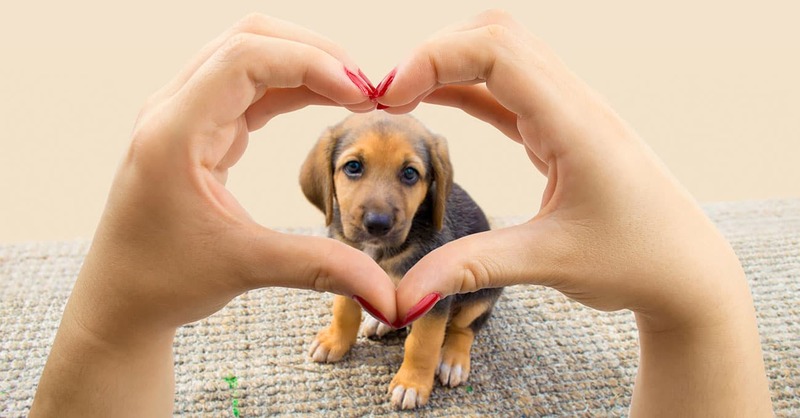 Manufacturers of heartworm preventives have great tools that can be used in your practice, although the formalin heart might not be the most common tool today. The representatives who visit you regularly can provide videos, models, handouts and websites. 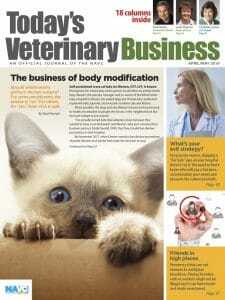 The American Heartworm Society, established in 1974, publishes guidelines, incidence maps, educational resources and in-practice training tools to help veterinary clinics do the right thing for dogs and cats. The Companion Animal Parasite Council, established in 2002, is another great resource for practitioners, their staffs and clients. The CAPC website has incidence maps and educational tools. With some of the best minds in the profession advocating for appropriate treatment, what are the barriers to full compliance? If the practice leadership doesn’t have a full understanding of or buy in to the significance of a problem, getting the team on board will be hard. I made sure all of my team members’ pets were on a preventive. My golden retriever was on a preventive, which was a huge message to the staff and clients. Manufacturers and distributors can help you with staff compliance. But of course, you have to understand and believe that heartworm disease is relevant, significant and preventable. Just because it is not the most common condition you diagnose doesn’t mean it isn’t important to your clientele. As practice leaders, many times you are the barrier to client compliance. Is it good medicine? Is the condition significant and preventable? Is the treatment as bad as the condition or worse? Is prevention easy? Do your clients travel? Given the fact that many preventives block other internal and potentially zoonotic parasites, doesn’t it make sense? Pet owners routinely balk on treatments because they don’t understand the why even if you have done a wonderful job explaining the what. The what is the disease, the testing and the prevention. The why explains the life cycle of the disease, the risk factors and concerns, the ease of prevention, and the challenges and risks of treatment. Team members who have their pets on a preventive, have been well-trained on heartworm disease and have handy educational tools — think the heart in a jar or a video — can explain the why to the client. Videos work well. Understanding that cost of care and convenience are two value adds for consumers these days, you have to think about how to compete from cost and convenience standpoints. Transparent communication is a must to address both before the client brings them up. Nothing is more convenient than a monthly topical or oral chewable unless the client runs out or it or forgets to give it. Can your practice create a proactive approach to monthly heartworm preventives using modern technology? Absolutely. You can text a reminder to administer medication. Email can accomplish the same thing. Even a post card, albeit old school, is an option. Something is easy to forget when you don’t give it every day. Help your clients remember. Also help them to remember refills and retests. Transparent communication from practice to pet owner will ensure an understanding of what recheck heartworm testing is and, more significantly, why it needs to be done. No medication is 100 percent, although preventives come darn close. We all understand the need for routine testing, so prebooking appointments is a great tool. If clients purchase only a six-month supply, set up a program at five months to call, email or text and let them know you can mail the balance of the prescription and charge it to the credit card on file. Heartworm preventives are a significant revenue source for online pharmacies. Can you compete with them when it comes to filling heartworm preventives? Yes. Should you? Yes. Here’s a simple economics lesson: If you sell something and make a dollar, you have made a dollar. If a client goes somewhere else to buy something that you sell, the other seller makes the dollar and you make zero. You run the risk of losing the relationship. Design your online pharmacy for convenience as well. Work with manufacturers to get best pricing, or join buying groups. Price products competitively. Your client would rather buy from you if only you could compete on cost and convenience. To support compliance, keep H.E.A.R.T. in mind. H: Have a story to tell. It might not be mine, but having a story in your practice about heartworm disease will strengthen your belief in the condition’s significance. E: Educate yourself and your team about heartworm disease and its relevance. A: Advocate for prevention by having your staff’s pets and your pets on a prevention program. R: Resolve to communicate completely, compete financially and offer convenience. T: Teach clients about heartworm disease. Use visuals and provide handouts. Teach the what and focus on the why. Compliance failures in heartworm disease are inexcusable. It just takes a little H.E.A.R.T to make a difference in your practice and the lives of your clients and patients.